At a recent conference on transmedia, or multiplatform storytelling, Starlight Runner Entertainment CEO Jeff Gomez said that stories help us commune with things greater than ourselves. In a world where attention and big ideas are prized, knowing a few things about storytelling can make you more successful in your endeavors. 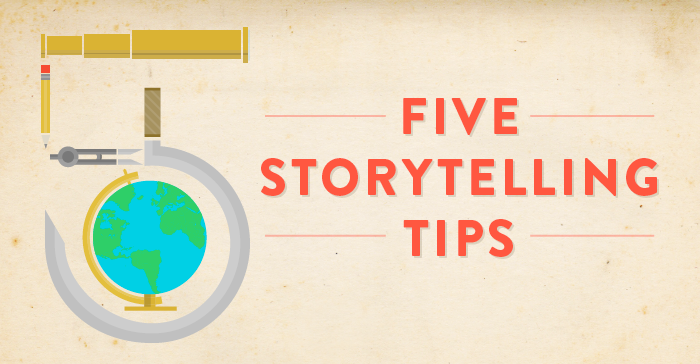 Below are five steps you can take to help better tell your story. No one decides to tell a story without some purpose, passion or unending contemplation of a subject. Taking time to figure out what drives your pursuit of a given story and what information you need to convey to your audience will help you focus your efforts and strengthen the final product. Whether or not everything in life happens for a reason is still up for debate. In your story world, however, everything must happen for a reason. Continually ask yourself whether what you include is both relevant to your story and actively supports it. Even the minutest details inform audience perception and engagement with your story. Sure, writing for yourself is important; it fosters honest writing and creative exploration. But eventually you’re going to want to get your story out there. Reflect on the makeup of the targeted audience and what their medium is (web, TV, print, etc.) Never underestimate their intelligence. Even if you think they’re unintelligent, don’t craft your story to the lowest common denominator. Maybe they’ll become smarter because of it. Creativity is messy. While skill and structure are important to the art of storytelling, it also involves a certain level of brutality. Don’t be afraid to cut, paste and delete to hone your story. Get in there and rip and slash. Kill your darlings. Just don’t cannibalize your audience; that would be counterproductive and gross. Finishing a project is even more important than starting it. If you don’t get it down on paper, it might never be shared. Storytelling takes time and hard work. Need some encouragement? TV writer Jane Espenson frequently announces writing sprints to her followers on Twitter. No matter what the quality of the outcome, finishing a project will give you the experience and creative boost to do more, better. Those who can effectively move people with story regardless of platform are those who will shape the future, not only of entertainment and marketing but of the various ways we experience life every day. Ian Klein is a Project Manager at Column Five. He holds an MFA in Dramaturgy from Columbia University. His research interests in narrative development span from television studies and adaptation to the subject of his thesis: storytelling in created environments. He can be found on Twitter @eincline.